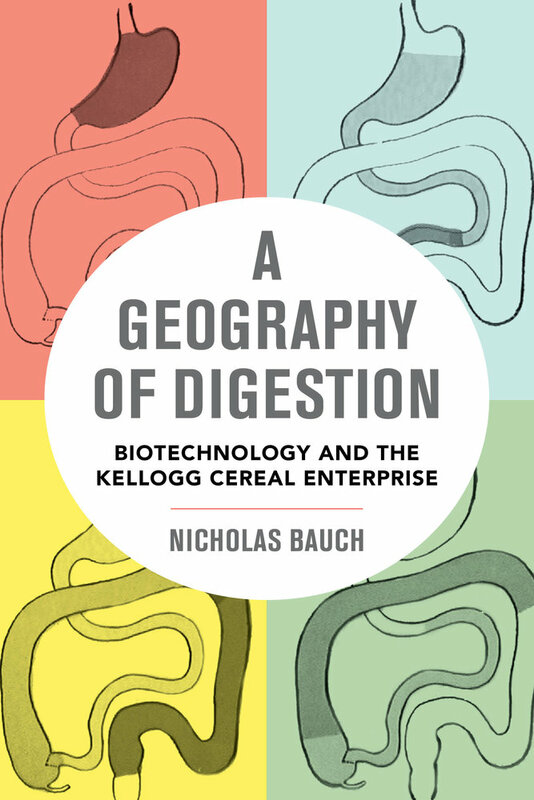 A Geography of Digestion is a highly original exploration of the legacy of the Kellogg Company, one of America’s most enduring and storied food enterprises. In the late nineteenth century, company founder John H. Kellogg was experimenting with state-of-the-art advances in nutritional and medical science at his Battle Creek Sanitarium. Believing that good health depended on digesting the right foods in the right way, Kellogg thought that proper digestion could not happen without improved technologies, including innovations in food-processing machinery, urban sewer infrastructure, and agricultural production that changed the way Americans consumed and assimilated food. 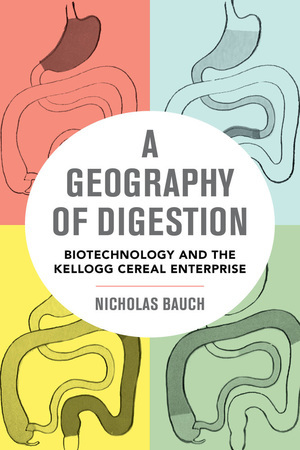 Asking his readers to think about mapping the processes and locations of digestion, Nicholas Bauch moves outward from the stomach to the sanitarium and through the landscape, clarifying the relationship between food, body, and environment at a crucial moment in the emergence of American health food sensibilities. Nicholas Bauch is Assistant Professor of Geohumanities in the Department of Geography and Environmental Sustainability at the University of Oklahoma.